mad orange fools: Someday I might take a picture of something other than cats & flowers. Someday I might take a picture of something other than cats & flowers. But I am not making any guarantees. 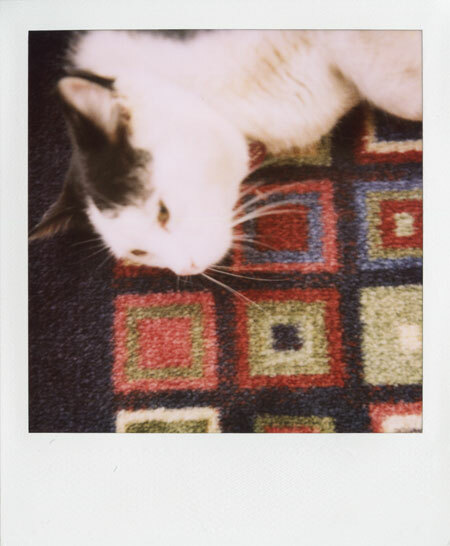 Rocky oftentimes takes his morning nap on this set of rugs that we have in our back hallway. I think the colors of the rugs suit him. Such a pretty boy. Who are you kidding??? Just kidding we see people here and there, maybe you should come back to Pgh and then you could photograph your fav bands and your fav kids, mine!